Belle has returned unannounced to the castle to restore her relationship with the king, her father. Her hopes are dashed with the devastating message: "The king refuses to see you." 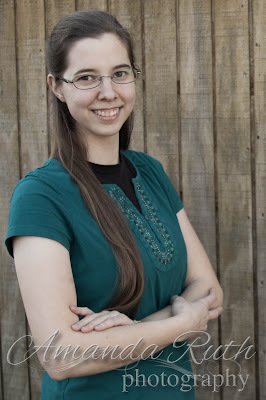 Convinced that God has led her home, she is unwilling to return to Lord and Lady Kiralyn. If you've known me long, you know Amanda is a dear friend of mine, whose novellas are rich in wholesome plots and family-friendly characters. 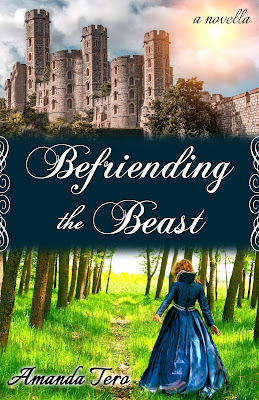 Befriending the Beast is Amanda's retelling of Beauty and The Beast and her latest novella. While there are many things I loved about Belle's story, two elements especially encouraged my heart. First was the deep ribbon of trust in God throughout the story. Belle faced real rejection from her father, yet it didn't quench her trust in her Heavenly Father. 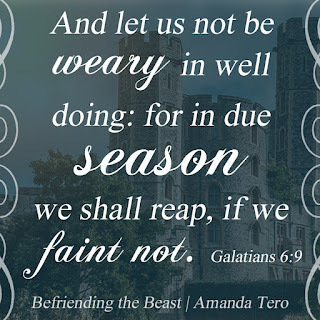 Even though she clearly stumbled and wavered in her commitment to love the man who should have loved and protected her, the faith she had in Christ kept and strengthen her to the end. For me, this story was the personification of what so much the Lord has taught me about trusting Him. 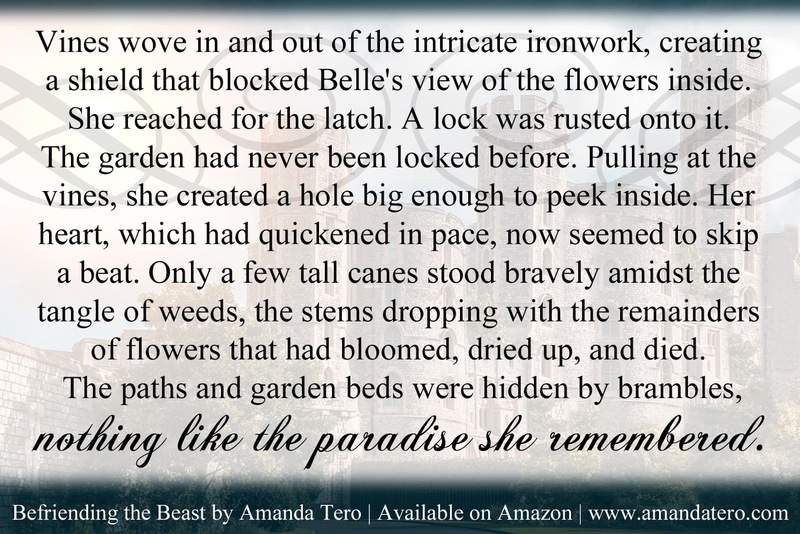 Second was the steadfast love Belle had for her father. Was it painful, yes. Did it look hopeless, yes. Did she do it perfectly, no. But a charity that never fails was the story's hero. 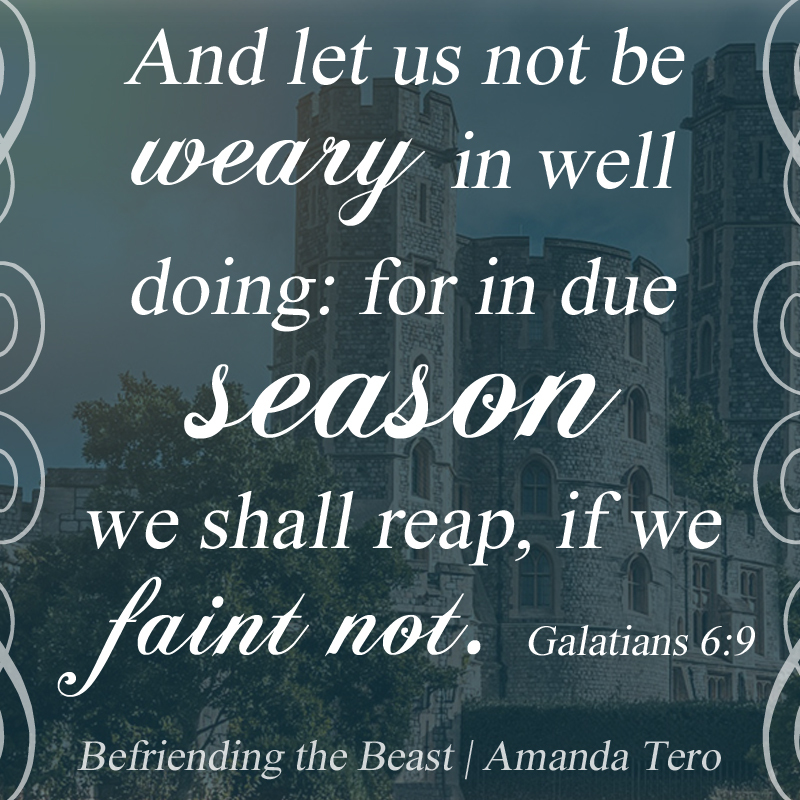 I truly can't recommend Befriending the Beast enough and would highly encourage parents seeking godly fiction to consider it for your family library! Click here to see the Befriending the Beast book trailer! U.S. 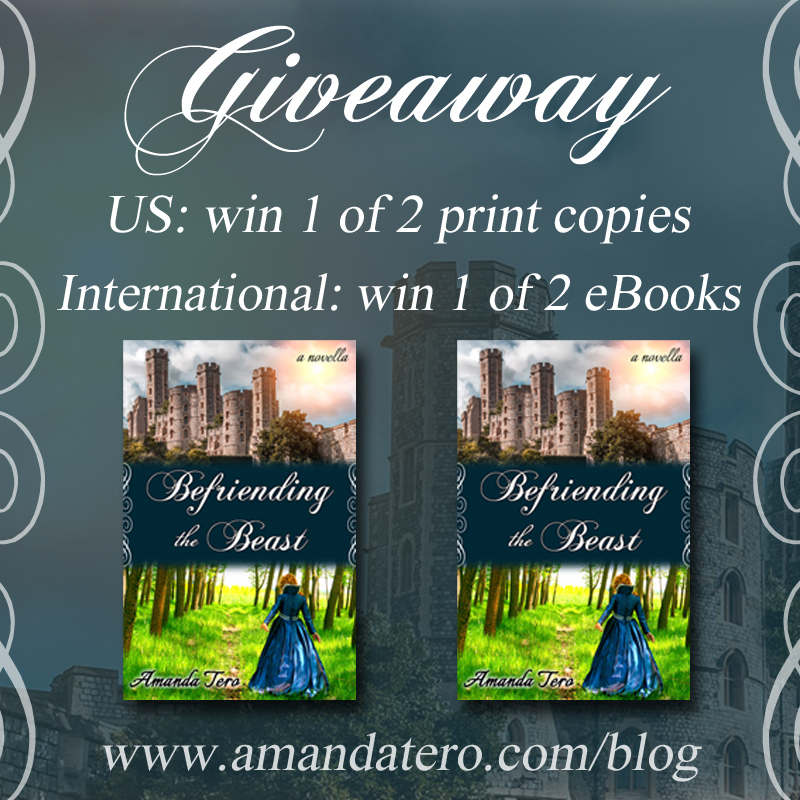 Giveaway: Enter to win one of two paperback copies of "Befriending the Beast"
International Giveaway: Enter to win one of two eBook copies of "Befriending the Beast"
Other Befriending the Beast Reviews! Ride by these other sites for more information about this Christian fairy tale!